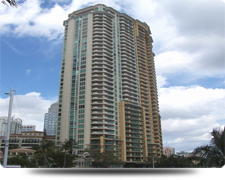 The Las Olas Grand Condos towers 38 stories over the beautiful New River in Fort Lauderdale with 211 condo residences. 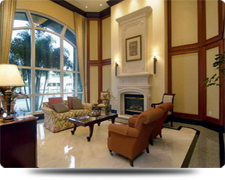 Las Olas Grand Condo units range in size from 1600 to more than 6000 square feet. The seventh floor of the Las Olas Grand contains a number of activity rooms. 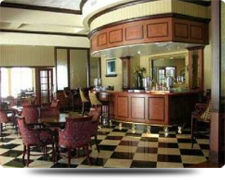 These include a card room, social room, billiard room and a sports bar with multiple TV's. The Las Olas Grand has 5 European style luxury villas facing the river. Each Villa averages 3150 square feet with 3 bedrooms, 3 1/2 baths, den and family room. Each Villa has a two car garage. The close proximity of Las Olas Blvd. to the Las OLas Grand Condos offers residents luxury shopping in its wonderful boutiques, superb restaurants, shops and cafes. 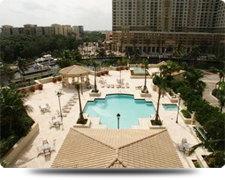 The Las Olas Grand is one of the finest addresses in Fort Lauderdale. 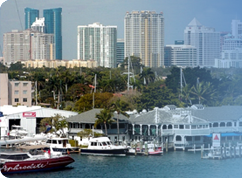 Views include Fort Lauderdale Beach, Intracoastal Waterway, and the City Lights of Fort Lauderdale. Two dogs permited up to 30lbs. 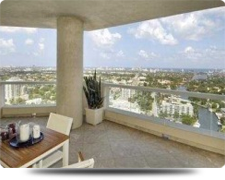 One of the most outstanding Las Olas Condos.